Awareness and knowledge of Solar lighting is increasing, as well as improvement in technology used in Solar products. This includes related technologies like ‘LED’. Unfortunately, lower cost solar lights tarnished the industry. They were often extremely cheap, didn’t last much more than a season, and illuminated dimly. 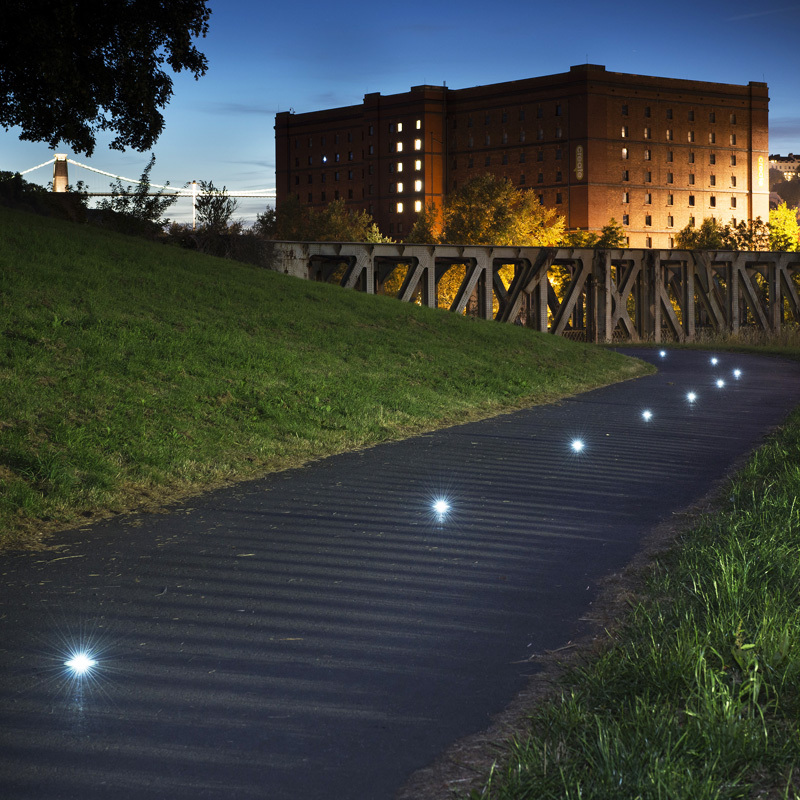 Nowadays, thanks to a few forward-thinking companies, long-lasting solar path lights that charge sufficiently on dull days with high outputs are easier to find. When considering outdoor lighting for any premises, the benefits of Solar is obvious. No Energy Cost – Even after a higher initial cost, the overall and ongoing savings with Solar are considerable, especially with newer designs which last longer. There can also be financial incentives to use solar when dealing with commercial projects. Very Low Installation Costs – Unlike 240v mains lighting where an electrician is required usually for long periods of time to bury armoured cable (for example), It can be as simple as fixing solar lights in place once – job done! Maintenance Free – Once in place, very little maintenance is required, especially with the latest designs. The fact high quality LEDs are used gives them a long lifespan anyway, but be sure to source fittings that use Lithium Ion batteries for up to 8 years life. Environmentally friendly – Solar energy is one of the World’s most innovative renewable power sources. It uses no power from the grid, just solar power to charge rechargeable batteries during the day, storing energy and ready to operate at night. Professional Solar lights such as those offered by Lumena Lights, address previous problems including dull U.K light. They have high capacity long life Lithium Ion batteries as used in electric cars and the latest mobile phones. These last several years and retain a full charge unlike Nickel Cadmium batteries that rapidly lose their storage ability. The SolarEye80, Freeway PIR light and Solamon range all use Lithium Ion and have suitably bright lumens output. The high quality SolarEye in-ground lights will last for 2 weeks without sunshine when fully charged. They also have a battery life of up to 8 years! With over 20,000 installed since 2012, the virtually indestructible Solar Eye is proof that Solar technology will be lighting the way for years to come! See All of Lumena’s Professional Solar Lighting Here.